‘Propaganda that looks like propaganda is third rate propaganda’: so said Lord Northcliffe, Director for Propaganda for the British Ministry of Information in 1918. Northcliffe possessed a unique monopoly on news production in the early 20th century, owning both the Daily Mail and The Times, and his work in producing effective anti-German material during the first World War has been credited as the first modern instance of effective mass propaganda. 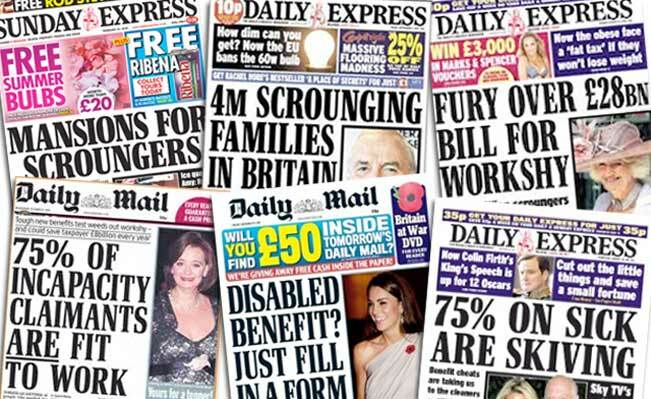 Whilst today we have our Rupert Murdochs and Richard Desmonds, and the increasingly-centralised ownership of media production to a few multinational giants, analysis of propaganda and its means of propagation still remains somehow lacking. An era of popular scepticism and cynicism about the integrity of politicians, police and bankers has yet to be coupled to a wider rejection of media and information production. Why is this, and what can be done? Click here to read the remainder of the review-essay. I’ll also be talking tomorrow evening at Housmans with Mark Fisher about Negative Capitalism, all welcome. Posted on September 10, 2013 September 10, 2013 by JD Taylor	This entry was posted in Reviews. Bookmark the permalink.